Susan Sarfaty is the St. Clair County Regional Superintendent of Schools. She is a life-long resident of St. Clair County and a graduate of SIUE with a Masters’ in Education and post-graduate work in Education Administration. 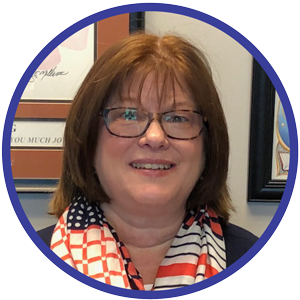 As Regional Superintendent, Susan ensures educators are licensed for the positions they hold, our schools are safe, and a wide variety of other duties. Her office works closely with the State’s Attorney and other agencies to curb truancy. The office helps homeless students and families as well. We provide bus driver training and extensive professional development for educators. Susan’s office provides direct services to students through the English as a Second Language program, Safe School program and Stay In School program. She serves on the Child Advocacy Board and is a member of St. Clair County Health Care Commission. Susan taught elementary school for 20 years before joining the Regional Office of Education in 2000. She became the Regional Superintendent in 2011.